Utah Shakespeare Festival Founder Fred C. Adams will soon have one more award to put on his already-crowded mantel. 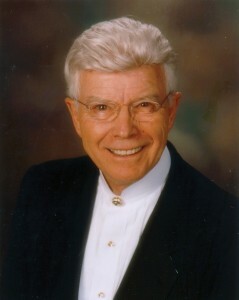 The Utah Cultural Alliance (UCA) recently announced that Adams will be the recipient of the Cultural Achievement Award. The award will be presented at UCA’s annual meeting and luncheon on December 7, where Adams will also be the keynote speaker.